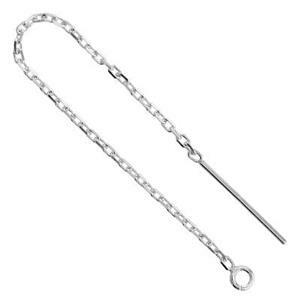 53.5mm 21ga Box Chain Ear Thread, 1mm Chain, 1.6mm Open Ring ID. Order 2pcs to get one pair. 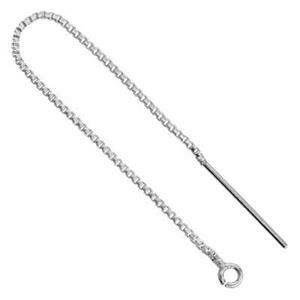 78mm 22ga Diamond Cut Cable Ear Threads, 1.2mm Chain, 1.5mm Open Ring ID. Order 2pcs to get one pair. 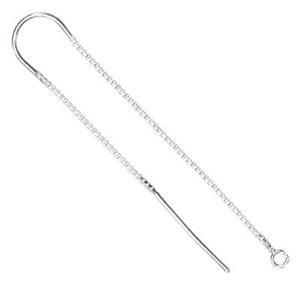 78mm 22ga Box Chain Ear Thread, .9mm Box Chain, 1.6mm Open Ring ID. Order 2pcs to get one pair.